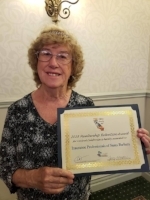 Welcome to the CA Council of IAIP Blog - a place for members to voice their opinions and suggest ways to make our association the best it can be!!! 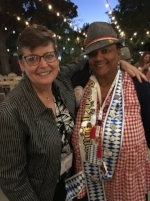 Arriving in Sacramento for my first Region VII conference in itself was exciting. 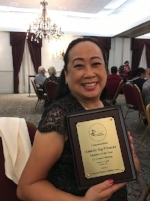 Luckily I had attended the 2018 California Council meeting as a first timer in Fresno so I knew what to expect (not). I had volunteered to be on a committee at the Conference definitely not knowing what to expect from that. 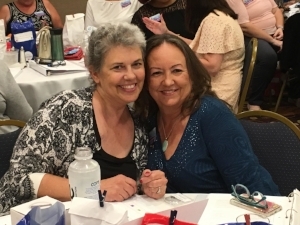 Due to time constraints of others traveling with me and the fact than none of us needed additional CE credits at this time, we arrived in Sacramento around 9pm on Thursday. 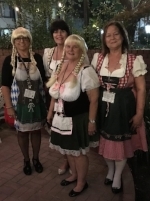 We met up with others of our local association. We were told that the classes were informative and fun. 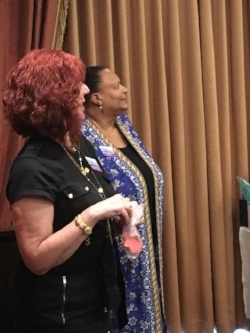 The next morning was breakfast at 8 and then on to the business meeting, intro of the convening board members and the IAIP International Officer, Geraldine Platt standing in for Angie Sullivan who was absent due to problems with her flight. The roll call of delegates was then made. Afterwards, the corrections of the program was made (thank goodness I was sitting next to a seasoned member – thank you Margaret) and could not keep up with the changes as I had no idea who the replacements were and in looking at the list, got confused. Report of Region VII History indicated that they are still looking for additional information regarding the history of Regions VII, VIII & IX and to please forward any copies of past programs. 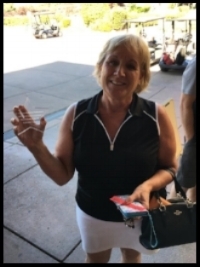 After the first break, the CWC competition was conducted, Mark McDonald (San Diego), Keri Herlong (Las Vegas), Ron Mui (Honolulu), Brooke Lesniak (Orange County) and Sandy Malone (Seattle) – and the winner is…..to be announced at the Awards Banquet. After lunch on our own, there were a few group meeting, President’s Meeting, First Timers/Gold Timers Gathering – I did attend, more on this later, Conference Chairs Meeting and a Conference Briefing (discussion of the 1 member/1vote) and info on the Meet the Candidate – International Secretary. 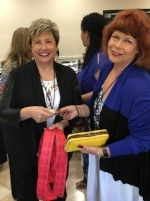 After the conclusion of the business meeting, we adjourned and was given the opportunity to meet and greet all the members in attendance at the Welcome Party. Yes I know I am rambling – but there was so much to take in. Everyone in the association needs to attend these conferences at least once during their career. The next day we had a remembrance breakfast which highlighted careers of 5 members that are no longer with us. Extremely moving and had most members in tears remembering our lost sisters. After breakfast, we were off and running on the business for the day which included the once again the roll call of the delegates (just to make sure we did not lose one). Discussion on the 1 member/1 vote was discussed and voted on by the delegates. 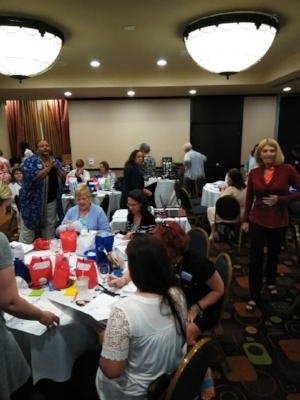 (Now this is where my volunteering came in – I was part of the “Teller” committee and we passed out the ballots, collected them and then exited the room to count the ballots. 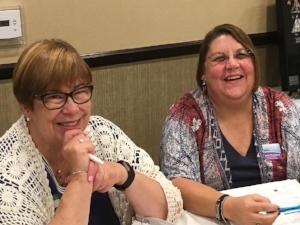 There was an agreement that we should move forward to International with our final vote to discuss at the International Conference in Reno this June. After that vote, we then proceeded to the voting for the new RVP (Region Vice President). The Previous day we had 1 candidate and then the nominations were opened from the floor at which time another candidate was added to the roster and seconded. 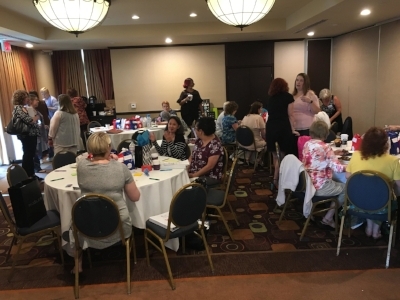 So now we have 2 candidates and need to actually vote on the candidate – we broke out by our associations to discuss the candidates giving as much information to our delegates for their vote. Once again the Tellers were called upon to pass out ballots, collect and tally the results. Upon re-entering the conference room, you could hear a pin drop. The results were handed to the current RVP, Kim Cameron for the announcement of the new RVP. – I would say winner, but both candidates seemed very qualified to hold the position. 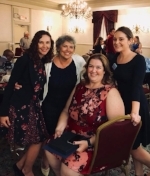 And the new RVP is – Robin Souza –Robin Souza was then installed as our RVP along with her assistants, Alison Holmes & Rose Kaerth. Let’s all congratulate her and give her as much support in the coming years during her 2 year term. We then finished with the confirmation of the next Region VII bids for the next and future conferences. Now back to the First Timers/Gold Timers gathering. We were entertained by Bart (Christine Chandler Tillet) & Clem (Keri Herlong), mustache and all, who explained the First Timer’s bill of Rights and attempted to explain the Gold Miners-excuse me – Timers bill of rights but somehow they only had the print out for the First Timers. 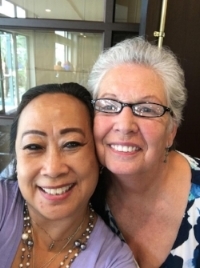 As First Timers, we all understood what entailed being a first timer, but a gold timer – these women are 60 or older and have been a member in good standing for 25+ years. I am in awe of the gold timers. 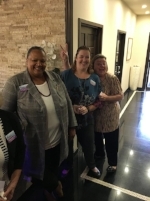 As a first timer we were given our scavenger hunt for to locate members based on information given – meaning we must talk to members to see who they are – member spoke 5 languages, 2018 CWC Region winner, a current CWC contestant and find an International Offer in attendance, just to name a few. 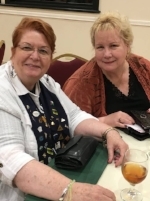 We were also given green bandanas which we were to wave at Bart and Clem to get tickets for a special drawing for new timers – to be announced at the Awards Banquet. 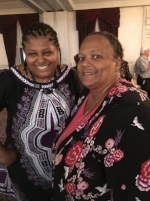 I also got to meet my cousin, Sharilyn (not really, but I might have cousins who is related to her). Now to the Banquet - excellent food, excellent conversation, really cute decorations, a chance to meet members that I missed during meeting and a really funny skit after the banquet. 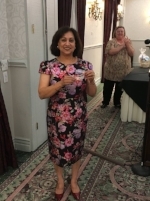 Awards were given out to the very deserving members in different areas of insurance. Then came the drawings for the First Timers were also handed out by Bart & Clem (without mustaches) – drawing by ticket – I won (lucky me) and then came the winning of the scavenger hunt and again, that was me. Woohoo – and no I did not head to Las Vegas. Thank you Insurance Professionals of Sacramento for a wonderful venue and all your hard work. Thank you all members of California for remembering who I was from the Council and others who sought me out as we had communicated via email on different things. Thank you to all the members who made this a once in a lifetime experience – you can only be a first timer once. 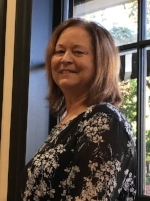 CA Council of IAIP Council Director, Christine Chandler Tillett, PHR, CLP makes the IBA Hot 100 2019 list. 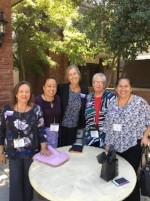 The 32nd California Council Meeting was held on October 12-13, 2018 in Fresno. The Council meeting was hosted by the Insurance Associates of Fresno and what a fantastic job they did. The theme for the meeting was Harvesting in 2018…Planting Seeds of our Future. 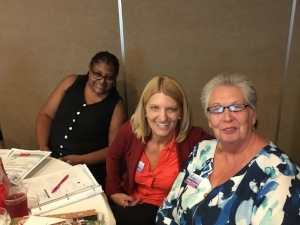 IAOF provided the attendees with a great day of Education on Friday with a variety of classes to choose from. 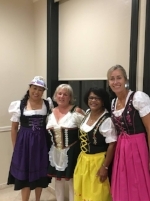 Friday night was the Oktoberfest Welcome Party where members wore their Lederhosen, Dirndls and IAIP flair, played trivia and visited association fundraising tables. 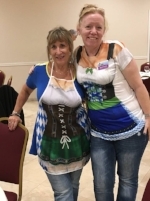 Attendees voted and Carola Erb was the winner for the best use of IAIP flair! Our Council Director, Christine Chandler Tillett, PHR, CLP and the Council Cabinet opened the business session to the song “This is Me”. The members of the Council welcomed everyone to the meeting and passed out business cards so everyone would have our contact information. During the business session we were welcomed to Fresno by the host association. VIPS, Committee Chairs and Seminar Leaders were introduced and we heard reports from International, Regional and Council representatives. The morning business session also included the highlight of the meeting….CWC. We had three really great contestants. They are all winners! The Leadership Luncheon was a great time to thank our local presidents and welcome past Council Directors. The luncheon also included the popular Silent Auction. Along with the funds from the baskets there were several individual donations. 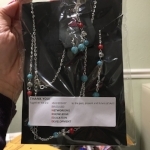 Tish Riley, CIIP, DAE, CLP made a generous donation on behalf of Victoria Rivas and Kathleen Shumate, ARM, CIIP, DAE and Dawn Manzano, CISR also made generous donations. A huge thank you to everyone that participated and the donations will benefit the California Council Fund. 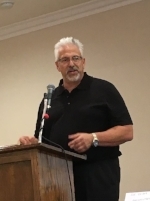 During the second half of the business session we had keynote speaker Dave Bressoud make us laugh. Associations did their rebids for upcoming Council Meetings. We will be visiting Glendale for the 2019 Council Meeting hosted by Insurance Professionals of Los Angeles and we will be Roaring into the 20’s for the 2020 Council Meeting hosted by South Bay Association of Insurance Professionals. In 2021 will be headed to America’s Finest City - San Diego and in 2022 hopefully we will be going to the City by the Bay. The Council Meeting closed with the Awards Banquet. 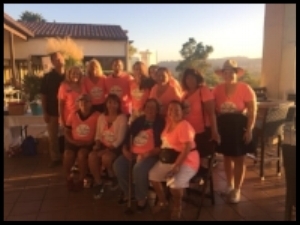 Awards for CWC, Member, Mentor, YNP of the year and the Gayle Reskin Angel Award were given to deserving members for all they do for IAIP. Association Member Retention Awards were given to one association in each region that retained the most members. To see the complete list of recipients please visit the Awards page on the web site. After the awards everyone had fun singing Karaoke. Our sincere thanks to the Insurance Associates of Fresno for a wonderful Council Meeting in FresYes! It’s official! We love golf! 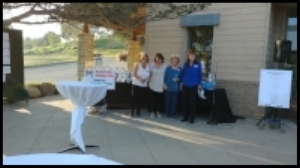 August and September were busy months for Golf Tournaments with several of our associations participating. 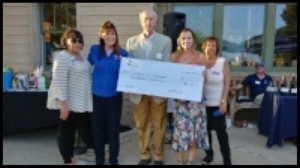 These tournaments raised much needed funds for local charities including the Alzheimer’s Association, Boxer Dog Rescue, Search Dog Foundation, YWCA, OPT, Rachel’s’ Center for Women, Mary’s Kitchen and the 2020 Council Meeting hosted by the South Bay Association of Insurance Professionals. 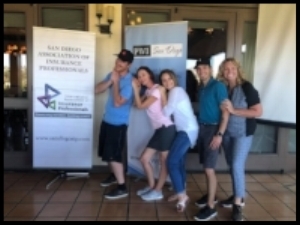 Insurance Professionals of Santa Barbara held their annual Golf Classic at the Glen Annie Golf Club and San Francisco Insurance Professionals held their 14th annual golf tournament at Boundary Oaks Golf Course. 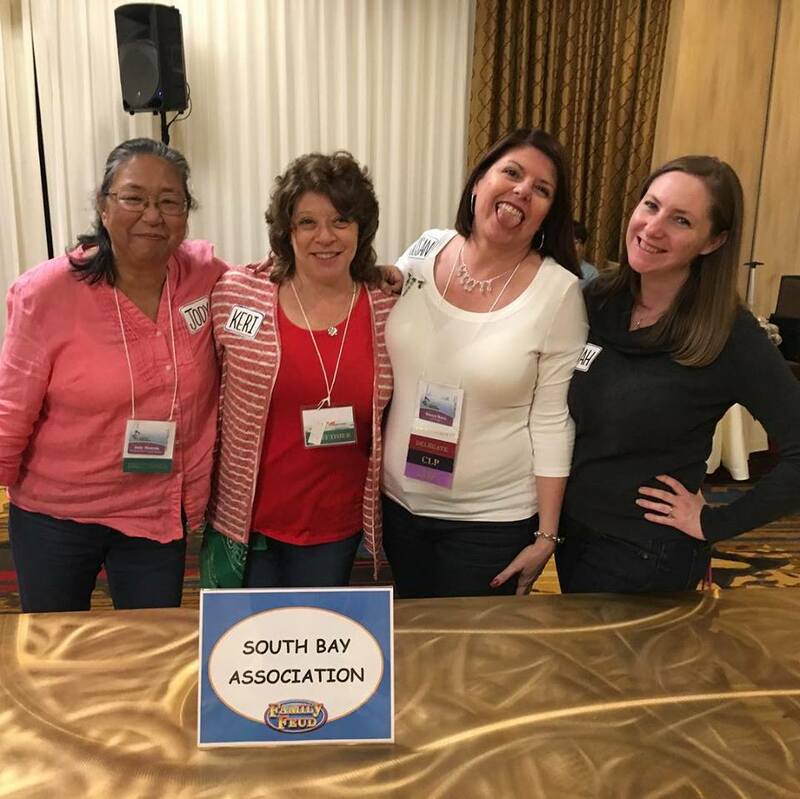 San Diego Association of Insurance Professionals and Professional Women in Insurance along with South Bay Association of Insurance Professionals and Insurance Professionals of Orange County decided to hold joint tournaments. 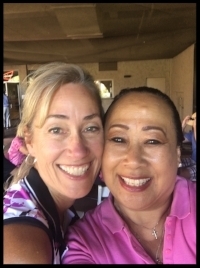 Golf Tournaments are a great way to involve the insurance industry and a perfect opportunity to network and showcase IAIP. Thank you to the associations, the players, the sponsors and all those volunteers that helped make these tournaments a success. 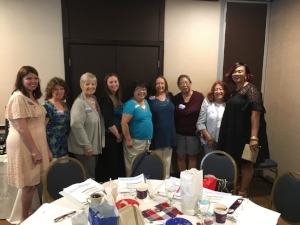 The California Members Leadership Summit that was held on July 28th in Orange County was a successful event. There were 37 members in attendance. 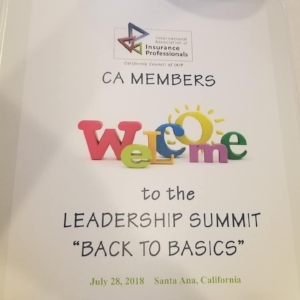 Our Council Director Christine Chandler Tillett, PHR, CLP, chose the theme of “Back to Basics” for the summit. The meeting room was decorated in red white and blue. The members were able to meet their new Council Cabinet for the upcoming term and hear about their goals as well as learn about IAIP structure, understanding bylaws, structuring your board meetings, the rules of engagement regarding parliamentary procedures and navigating through the Council, Regional and International websites. The meeting started at 9am with welcomes and introductions. 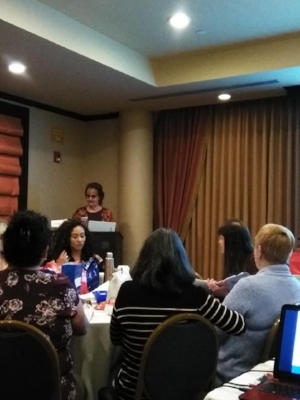 The Presenters included current RVP, Kim Cameron, CPIW, CLP; past International President Tish Riley, CIIP, CLP, DAE; past RVP Jolene Galvan, ACSR, CPIW, CISR-Elite, AIS, CPSR, AINS, CLP, DAE; past RVP, Kathleen Shumate, ARM, CIIP, DAE and past RVP/CD assistant, Gail Novelich. 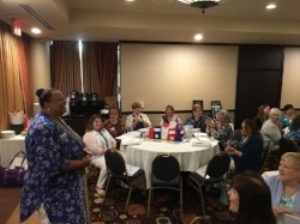 Members received a continental breakfast and a delicious deli lunch. 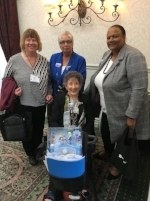 Everyone in attendance was treated to snack bags sponsored by Berkshire Hathaway Homestate Companies as well as a Grab & Go Opportunity Gift provided by the CA Council Cabinet. The CA Council Cabinet wishes to express their sincere thanks to everyone that attended. 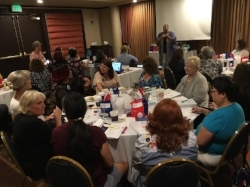 It was our goal to make sure the meeting was educational, informative and fun. We hope you are saving the date for the Ca Council Meeting to be held in FresYes (no) on October 12th & 13th. Take advantage of this priceless IAIP member benefit – the opportunity to be matched with an experienced member to serve as your mentor. 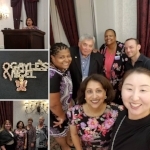 Areas of focus may include (but are certainly not limited to) career path coaching, how to “Go All In” with IAIP, networking skills, and leadership development! 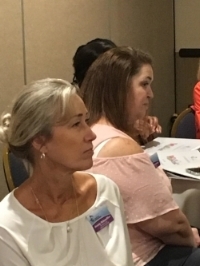 2. assist more seasoned members with further refining specific skills, learning more about a particular aspect of the insurance industry, gaining a new designation, or learning a new technical skill. As a mentor, you are a guide, role model, and resource. Take this opportunity to share your association and professional experiences by advising, influencing and supporting new members. A mentor/mentee relationship provides many opportunities, offers many challenges, and has many rewards. Experience them for yourself. 7. Do something for others. Make a difference! To participate, complete the online Mentor Application or Mentee Application or change your IAIP profile (click "manage profile" then "edit bio") to reflect your interest in either role of the mentoring program. This program is available to IAIP members only. As promised at the Leadership Workshop I wanted to make sure that I got this out to you all this week. If you could please share with presidents of your associations if they were not able to attend Carol and I would greatly appreciate it. We are looking forward to this year and having it be a year of positivity. We thought that this was a great way to get started. Thank you all for your support this last weekend. Your constant interaction made the leadership meeting a fabulous meeting. I also wanted to thank everyone for your generous donations to the Legacy Foundation. Total that we are donating to Legacy on behalf of the California Leadership Workshop is 255.00. 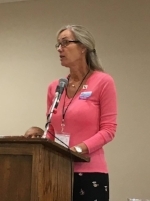 Please feel free to reach out to me if you need anything also those of you that I have not reached out to yet regarding Positions at California Council I will be reaching out to you soon. See you all in September.